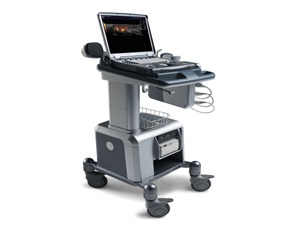 LOGIQ® e gives you the power to expand from routine to advanced imaging in musculoskeletal, anesthesiology, interventional, emergency, critical care and general imaging applications. 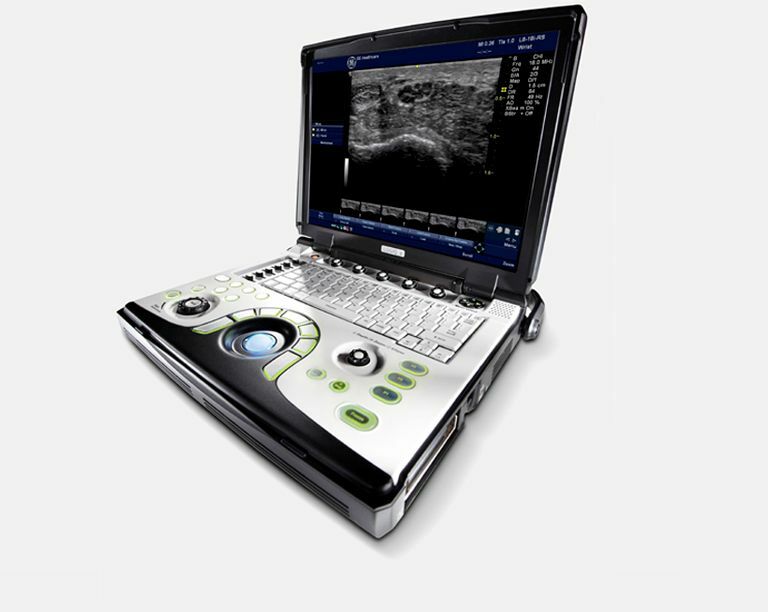 Single-button-activated imaging technology enhances needle visualization. You can see the needle tip clearly, and easily track the needle at various angles and depths. Two ergonomic, height-adjustable carts help extend your reach. 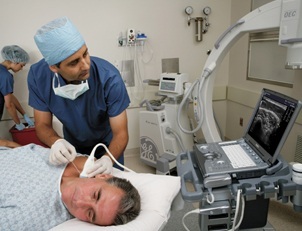 Monitor on articulating arm for ergonomic alignment of screen, probe and patient.